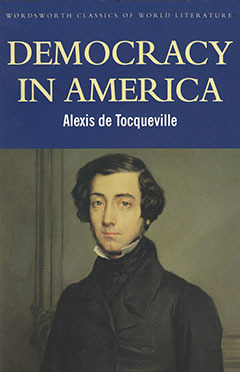 NEW YORK – Alexis de Tocqueville, a liberal French aristocrat, visited the United States in 1831 ostensibly to write a study of its “enlightened” prison system (locking people up in solitary confinement like penitent monks was the latest modern idea). 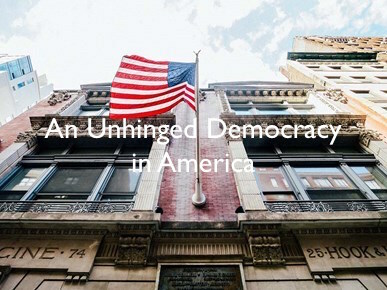 Out of this trip came de Tocqueville’s masterpiece, Democracy in America, in which he expressed admiration for American civil liberties and compared the world’s first genuine liberal democracy favorably with Old World institutions. But de Tocqueville had serious reservations, too. The biggest danger to US democracy, he believed, was the tyranny of the majority, the suffocating intellectual conformity of American life, the stifling of minority opinion and dissent. He was convinced that any exercise of unlimited power, be it by an individual despot or a political majority, is bound to end in disaster. Democracy, in the sense of majority rule, needs restraints, just like any other system of government. That is why the British have mixed the authority of elected politicians with that of aristocratic privilege. And it is why Americans still cherish their Constitution’s separation of governmental powers. By contrast, in the French republican system, the state represents the so-called will of the people. As a result, its authority is less constrained, which may explain the greater frequency in France of street demonstrations and even of mob violence. Indeed, these upheavals may act as informal checks on official power. De Tocqueville identified another source of restraint in the US system: the power of religion. Human greed, as well as the temptation of going to extremes, was tempered by the moderating influence of a shared Christian faith. Liberty, in the US, was inextricably entwined with religious belief. The spectacle of American politics today would seem to cast doubt on de Tocqueville’s observation. Or, rather, the rhetoric of many Republicans aspiring to be President sounds like a perversion of what he saw in 1831. Religion and liberty are still mentioned in one breath, but often to promote extreme views. Religious minorities are denounced. Apocalyptic fears are stoked. Intolerance is promoted. All in the name of God. Of course, the US is not the only country where fringe demagogues are now poisoning mainstream politics. Religious language is less often heard in Western Europe, but all the more in parts of Eastern Europe, Turkey, and Israel. And the message of populism is similar everywhere in the democratic world: Liberal elites are to be blamed for all our ills and anxieties, from Europe’s refugee crisis to the inequities of the global economy, from “multiculturalism” to the rise of radical Islam. Populism is causing considerable alarm, not least because mainstream politicians seem less and less capable of finding a convincing way to stop its rise. Those who are rightly worried about the politics of fear like to assume that populism is a threat to democracy itself. Distrust of the elites fosters distrust of the system, and the longing for great leaders who will deliver us from the selfishness of professional politicians will lead to new forms of tyranny. That may turn out to be true. But, in fact, it is not really democracy that is presently under siege. In some ways, many societies are more democratic than they were before. If nothing else, the Donald Trump phenomenon shows that old party establishments can be skirted by popular outsiders. Social media also make it possible to bypass the traditional filters of authority, such as serious newspapers or broadcasters, and publish any point of view directly. The power of private fortunes to sway public opinion, especially in the US, also upsets the traditional order. Anti-elitism can be fanned by vast individual wealth, because elitism is defined less by financial clout than by education. At the same time, people have more power to elect power-hungry crooks than they did before. Like the wild and woolly views swirling around the Internet, such figures are no longer kept at bay by traditional party elites. What is steadily falling away is not democracy, but the restraints that de Tocqueville thought were essential to make liberal politics work. More and more, populist leaders regard their election by the majority of voters as a license to crush all political and cultural dissent. De Tocqueville’s nightmare is not yet the reality in the US, but it is close to what we see in Russia, Turkey, Hungary, and perhaps Poland. Even Israel, which, despite its many obvious problems, has always had a robust democracy, is moving in this direction, with government ministers demanding proof of “state loyalty” from writers, artists, and journalists. It is hard to see how traditional elites are going to regain any authority. And yet I think de Tocqueville was right. Without editors, there can be no serious journalism. Without parties led by experienced politicians, the borders between show business and politics will disappear. Without limits placed on the appetites and prejudices of the majority, intolerance will rule. This is not a question of nostalgia or snobbery. Nor is it a plea to trust anyone with a plausible air of authority. Anger at the elites is not always unjust. Globalization, immigration, and cosmopolitanism have served the interests of a highly educated minority, but sometimes at the expense of less privileged people. And yet, the problem identified by de Tocqueville in the 1830s is more relevant now than ever. Liberal democracy cannot be reduced to a popularity contest. Constraints on majority rule are necessary to protect the rights of minorities, be they ethnic, religious, or intellectual. When that protection disappears, we will all end up losing the freedoms that democracy was supposed to defend.